May 7, 2018 at 12:03a.m. 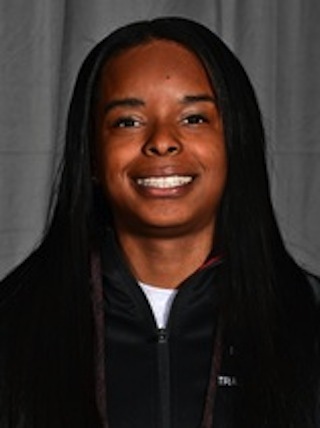 The Youngstown State women’s track and field team won its school-record fifth consecutive Horizon League Outdoor Championship Sunday at Oakland’s Track and Field Facility. The Penguins accumulated 236 points during the course of the three-day championships. Milwaukee took second place with 152 points while Oakland was third with 131. In the men’s meet, YSU finished second. The Penguins picked up wins in seven events — high jump, hammer throw, 4x100m relay, 110m hurdles, 100m, 200m and 400m hurdles — but finished behind Oakland, 233-230. For the women’s team, Keishawnna Burts won the 100m and 200m dashes while Nicolette Kreatsoulas, Angela Lock and Amber Eles defended their 2017 Horizon League titles. YSU opened the day with a strong victory in the 4x100m relay. The foursome of Jaliyah Elliott, Burts, Taylor Thompkins and Teneisha Myers ran a time of 45.98 seconds. Burts spearheaded a first, second, third and fifth-place YSU performance in the 100m dash. Burts won with a time of 11.60 seconds. Burts led a strong push in the 200m dash as the Penguins went 1-2-3-4 in the 200m. She won with a time of 23.71 seconds. Taking second place was Elliott with a time of 23.98 seconds. Eles won her second consecutive 100m hurdles title in a narrow victory over Milwaukee’s Melissa Kirchoff. Lock defended her championship in the javelin with a throw of 39.27m. Kreatsoulas took third with a throw of 34.16m while Coreen Crosby placed fourth with a 32.25m toss. Jayne Corbett was named the co-Field Athlete of the Meet while Burts was the co-Outstanding Runner. Head Coach Brian Gorby was named the women’s Coach of the Year for the fifth straight year. In the hammer throw, Matthew Monroe earned his first career Horizon League title with a winning throw of 56.09m. Carl Zallow had an impressive final Horizon League Outdoor Championships performance. Zallow won the 100m with a time of 10.56 seconds and later took first place in the 200m with a time of 21.30 seconds. Chad Zallow cruised to his second straight title in the 110m hurdles. Zallow ran a solid time of 14.04 seconds to take first by 0.42 seconds. In the 400m hurdles, Harden claimed his second straight title as well running a time of 52.46 seconds. In the 100m, Chad Zallow was with a time of 10.65 seconds. On Thursday, he wa named the Alfreeda Goff Horizon League Male Outdoor Track and Field Athlete of the Year for the second straight time. May 1, 2015 12:05 a.m.
May 8, 2016 12:06 a.m.